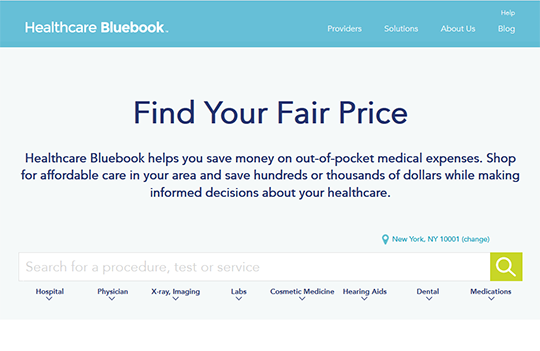 Healthcare Bluebook is an online and mobile accessible service that provides cost and quality information about healthcare services and providers in your area to help you with financial healthcare decisions before you seek care. Also provides detailed information on the quality of common inpatient procedures (those that require a hospital stay). Information available for hospitals and physicians.